Are you on the hunt for a bigger and beefier step bar, yet still want the sleek high-quality look of an oval tube step? Well look no further as the Westin stainless Pro Traxx 6" oval nerf bars are just what you need for your truck. Showcasing a larger six inch oval tubing, these stylish nerf boards not only look good but provide a safer and more secure stepping area. The polished stainless is crafted from heavy-duty stainless steel and formed for a custom fit for your ride. Westin stainless Pro Traxx 6" oval nerf bars are built to last and Westin keeps the customer in mind when creating them. 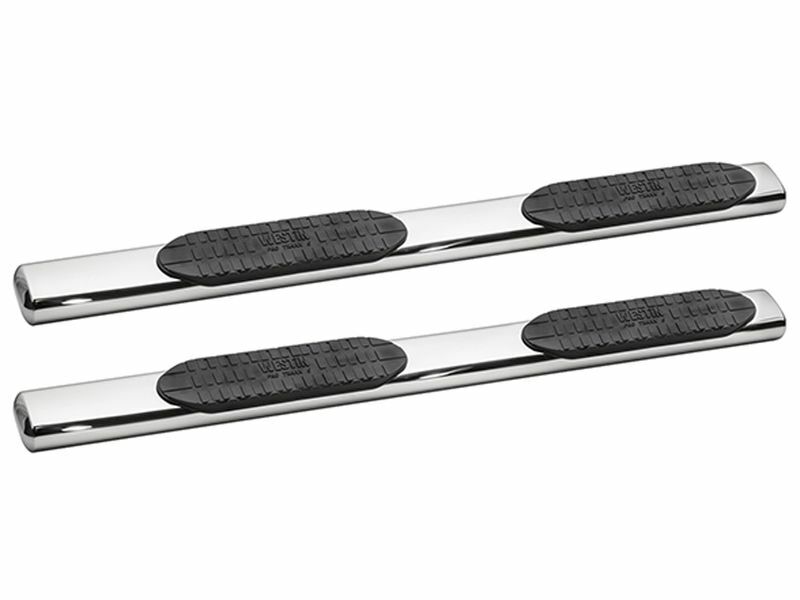 Complete with all mounting hardware and brackets, you can easily install the Westin stainless Pro Traxx 6" oval nerf bars in the comfort of your own driveway. Sold in pairs and with a no-drill install, you better get a set of these rockin' nerf bars today! Follow the easy to read installation instructions and install a set of the stainless 6" oval nerf bars from Westin right in your own driveway!